When we hear the term “nuisance” when in reference to a tenant, we typically think of a troublesome tenant. Although your tenant may indeed be a nuisance in the colloquial sense, in order to serve them a Nuisance Notice to Quit that may result in an eviction, the tenant must be committing a Nuisance in the formal sense of the word for one or more of five specified reasons recognized by the Court. 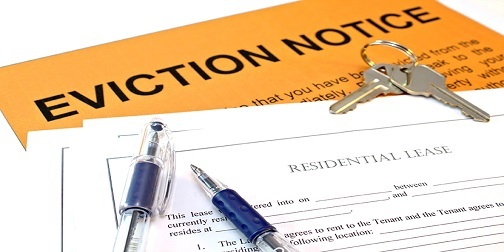 The first possible qualified reason to serve a tenant a Nuisance Notice to Quit is subletting. If your lease specifically outlines that your tenant is not allowed to sublet the rental property and they choose to do so anyway, you may evict them through a nuisance eviction. The most common instance of subletting these days, especially in Las Vegas, is the tenant running an Airbnb out of their leased property. Not only does this situation put you at risk of having your property damaged, but it also increases your liability substantially. I have personally seen instances where the person subletting the property through Airbnb refused to leave the property, and worse. Another common instance of subletting is when a tenant decides to rent your property out to a “tenant” of their own, creating an abundance of violations and issues in the process. If this is your situation, don’t worry, you can do a 3-Day Nuisance Notice through a reputable Las Vegas eviction services company and they will know exactly what you need to do to follow it through to Summary Eviction. This case is particularly easy to prove because your tenant will have an advertisement on Airbnb listing the leased address that can be easily copied as proof. The next reason that qualifies to serve a Nuisance Notice to Quit is waste. The term waste may seem very broad and does not mean that your tenant is wasteful. Waste in this case, in essence, is described by law as involving “harmful or destructive use of the property that decreases the property’s value.” This doesn’t necessarily mean trash is in the rental unit, but instead, that things are being broken, or that the tenant is causing a health or fire hazard. The tenant may be breaking windows, putting holes in the walls and doors, or destroying your property in some other way. You may have gotten a Violation from the City or County for something the tenant is doing. This is another situation that is easy to prove via the fact that the Violation was issued and remains unresolved. The third qualified reason to serve a Nuisance Notice to Quit involves the tenant operating an unlawful business out of the rental property/unit. Depending on the business, you may be able to prove it by advertisements, eye witness statements, or by presenting other clear evidence that the tenant is running a business unlawfully out of the leased property. The business they’re running may be as simple as operating a daycare without a license or running an auto repair shop out of the garage. This is sometimes a tricky thing to prove and, in some cases, you may want to do a Lease Violation, under the “use” clause of your lease instead. The fourth qualified reason is the closest to the more traditional interpretation of the word “nuisance.” This reason is used when the tenant is causing either injuries or damages to other tenants, or is obstructing the use of the property to other tenants. Your tenant may be damaging common areas or other people’s units. They may be obstructing common areas. Perhaps your tenant is harassing or starting fights with other occupants or neighbors. If your tenant is playing loud music or having screaming matches with their roommates late at night, this reason covers those situations as well. If you have a tenant that is causing problems for other tenants and you’re not sure what reason to use or how to evict them, contact an experienced eviction services company to help you choose which item or Notice will work best for your situation. The fifth and final qualified reason to serve a tenant with a Nuisance Notice to Quit, is also the most difficult. If the tenant is violating specific controlled substance laws in Nevada, it may also constitute a nuisance. This can be difficult to prove, however, there are situations in which a landlord has documented proof from the police that these laws have been violated. Otherwise, this will typically only be successful if the tenant has already been convicted. There are instances in which you would want to use more than one reason. Oftentimes, tenants will break into an adjoining utility box to steal power. Not only are they causing waste by breaking the utility box, and most likely causing a fire hazard, but they are permitting a nuisance by stealing power/electricity. In these cases, you will usually get a letter from the utility company which you can use as proof if necessary. In any and all of the Nuisance situation scenarios detailed above, you must list the facts of the problem. The facts may list what the tenant has done, what the tenant has destroyed, or complaints from neighbors, government entities, or the police. It’s important to keep in mind that the evidence you present needs to be brief and factual, which can be difficult to do when a tenant is destroying your property and/or you’re fielding complaints from angry residents or the authorities. Oftentimes when dealing with eviction notices and procedures, it is better to take yourself out of the equation and to let an eviction services professional handle the paperwork to make sure you are protected, and that something vital doesn’t get omitted in a volatile situation.